Maysville…..Joyce Rhoad, age 89, was born December 8, 1926 in St. Joseph, MO the daughter of Tom and Bessie German and passed away March 2, 2016 in St. Joseph. Joyce grew up in Osborn, MO and graduated from Osborn High School. She then moved to St. Joseph and worked at Whiteaker Cable Company. In 1946 Joyce married Norman Molloy and moved to Maysville. To this union five children were born. 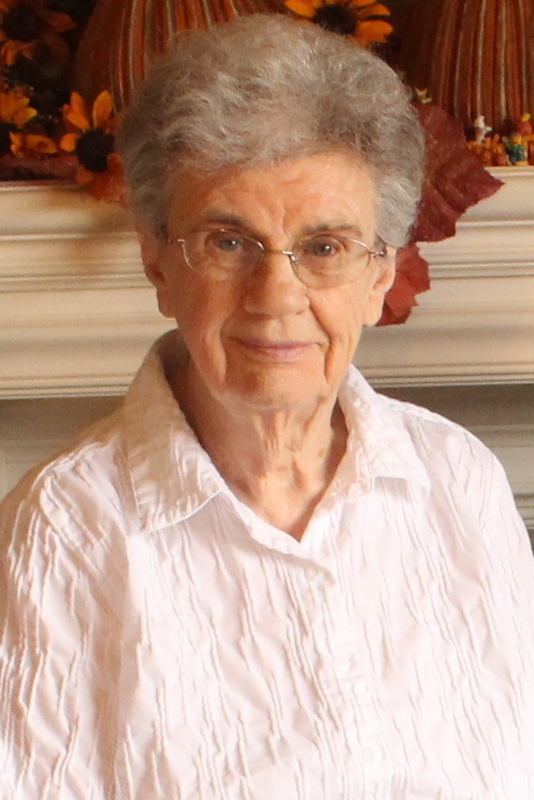 She was a member of First Baptist Church of Maysville and she served as secretary for many years on the board of directors of DeKalb County Nutrition Center. Joyce worked for Sunset Home for 24 years, retiring in 1991. Her husband Norman passed away in 1978. Joyce married Kenneth Rhoad in 1987. They enjoyed going to dances at the Senior Center in St. Joseph. Kenneth passed away in October of 1996. She is preceded in death by her parents; two husbands; two sons, Gary and Teddy Molloy; sister, Elaine Kerr; and, brother Earl German. Survivors include three children, Mike(Gail) Molloy, Arizona, Janice (David) Wolf, Weatherby, Mark (Katie) Molloy, St. Joseph; sister, Imogene Shepard; nine grandchildren; fourteen great-grandchildren; two great-great grandchildren & several nieces & nephews. My condolences to the Malloy family. Thank you Ron, we are going to miss her.